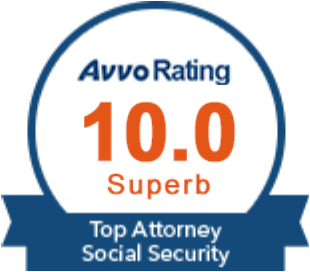 I would like to let anyone who is thinking of applying for Social Security Disability know that the team at the Krebs Law Firm is the one you need to have working for you during this process. They have the experience that is needed to get everything correct from the beginning to the end. Michele is truly great to work with and has such a wonderful personality. It was always great communicating with her. Mr. Krebs knows this process and will handle everything that needs to be done to get your case approved. It is a very terrible feeling knowing that you have an injury that will keep you from being able to support yourself and family through gainful employment. The process is very overwhelming and I would not recommend you go at it alone. I thank God and also the Krebs Law Firm for helping me get through this process. Contact them and let them help with your case. Thanks again! “Mr. Krebs and his staff are the best. This was my first time dealing with a personal injury case. They walked me through step by step of what I needed to do. I emailed them all the information and they handled it from there. He fought with the insurance company to get me a fair settlement. I couldn’t have asked for a better experience. He is professional, kept in contact with me to keep me informed on my case and I would highly recommend him to anybody.” – Matt W.
“The Krebs Law Firm handled my case swiftly and very professionally. They handled everything for me and talked to me so I understood every step and procedure. The office was pleasant and made me feel at ease through my hardship. The Krebs Law Firm provides tough and aggressive legal representation.” – Trudy N.
“When I was involved in a hit and run while riding my bicycle I contacted The Krebs Law Firm. Jason Krebs walked me through the process and was able to get compensation for not only my medical bills but the cost to replace my equipment. Jason Krebs is an experienced lawyer and I would highly recommend him.” – Cale M.
“Jason Krebs was a consummate professional from beginning to end who won my father’s case after his disability claim was originally denied. He and his team were instrumental in helping us gather the necessary paperwork for my dad’s appeal and secured a victory for us at his hearing. I have nothing but positive things to say about The Krebs Law Firm and the assistance they provided us.” – Heather C.
“I highly recommend Jason Krebs to anyone who is having problems getting their disability benefits and in need of an attorney. He held my hand and soothed my nerves through the whole process to a successful conclusion.” – Linda M.
“Applying for social security disability benefits can be a stressful and confusing task. Having an attorney who understands the system and is able to explain the process concisely yet in simple terms makes the process more tolerable. 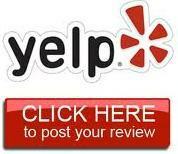 Jason Krebs is considerate, thorough, and extremely professional. He is a strong communicator who willingly fights for the benefits he believes you are entitled to. In short, he gets it done.” – Mary F.
“Applying for disability is a confusing and overwhelming experience – especially in light of the emotional turmoil caused by a sudden disability and all the resultant life changes that follow. I was left to care for a family member after a stroke changed her entire life, and Jason provided just the direction and reassurance that we needed to ensure that her new circumstances could be managed long-term. He was the support we needed during that especially vulnerable time, and I can’t thank him enough for providing that service to us. I’d highly recommend Jason Krebs to anyone finding themselves in a similar situation, and needing someone for direction and guidance in caring for themselves or a loved one.” – Jenna H.
After working 37 1/2 years at my job which was very physical and heavy work, I had to have shoulder surgery. My neck, back and other shoulder was also giving me problems. After surgery I could not continue to do my job. I filed for disability and was denied so I started looking for an attorney to help me. I talked to a local attorney and he told me I was not on enough pain medication for him to take my case. I got on the internet and Jason’s site was the one that impressed me the most. I called and told them my story and Jason said he would take my case.I was so relieved, by this time I was so stressed and I felt like I had messed up everything, was ready to give up and just wanted someone to take care of it for me. Everyone I talked to was very courteous and when it came time for my hearing Jason called me twice so that I would not have to drive 100 + miles to see him.He went thru everything and calmed my nerves and made sure I understood what to expect at my hearing.I was impressed with Jason at my hearing he was well prepared and very professional. I received a call from Jason after about 2 weeks congratulating me that I had won my case. Once again he made sure that he answered any of my questions. I would highly recommend using Jason and his staff. I wish I would of found him sooner. He helped me through a very stressful and difficult process. I am so thankful that the first attorney turned me down I don’t think I would of had the same outcome.- Susan V.
After going through other attorney’s, and loosing I chose The Krebs Law Firm. Mr Krebs showed compassion, and a true concern about me, and my case. He did what the other two large firms couldn’t. HE WON MY CASE FOR ME!! Thank you so much! If you haven’t won your case, you should try the Krebs Law Firm, you won’t be sorry! – Rachael H.
Five stars all the way through the process, starting with my free initial consultation with Mr. Krebs and then keeping me informed throughout the process. Special thanks to Brigitte, who kept me updated via email and by phone. Krebs Law Firm worked to maximize my settlement and made it a seamless process. If 10 stars were an option, they’d receive it. If you’re needing a work comp attorney, make them your first call.